Angkor is one of the greatest archaeological sites in the world, containing the magnificent remains of the Khmer Empire. One of the great civilisations of south-east Asia, the Khmers kings ruled between the 9th and 15th centuries and saw their empire extend over most of the Indochina peninsula at its peak. 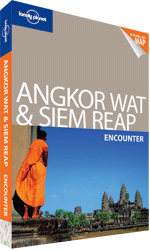 With over 100 temples spread over 400 km², Angkor warrants several days of exploration. The 12th century Angkor Wat is the most famous monument, built as a funerary temple for Suryavarman ll in honour of Vishnu, noted for its imposing structure with five towers and intricate bas reliefs. The second Angkor capital built by Rajendravarman in the 10th century contains the temples of Prasat Kravan, Sra Srang, and East Mebon. The Royal Palace enclosure contains the Phimeanakas temple built by Suryavarman I and the Terraces of the Elephants and the Leper King. Jayavarman Vll built the fortified city of Angkor Thom at the end of the 12th Century, enclosed by an 8 metre high wall and five monumental gates. Inside lies the Bayon temple with fine bas reliefs in its temples and numerous towers. Other notable structures are the Banteay Srei Temple, one of the best preserved temples, and Ta Phrom, half buried in the jungle and famous as a location for the film 'Tomb Raider'. 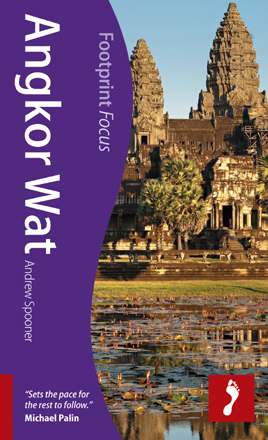 Organised group tours: Click here to see 9 tours to Cambodia which may include Angkor.